"Excellent is the only word that should be used to describe Repeat Signage software." West Yorkshire school. Howard Park Community School is a local authority school in Kirklees, West Yorkshire for pupils aged 3-11. The School was searching for a user-friendly, versatile and innovative platform on which to present key information, data, day to day activity in a clear, attractive and fresh way. Repeat Signage digital signage software was the perfect solution in meeting all of these hard to meet needs. "Repeat Signage was immediately a joy to use"
"I arrived in September 2015 and was eager to relaunch the school with new, fresh branding. This included re-inventing an unloved area into a vibrant and welcoming reception area and also included a large presentation space projecting key information to all stakeholders. Initially we considered the ubiquitous PowerPoint but soon ran into the tedium of predictable transitions and graphics. By luck, good fortune sent Repeat Signage in my school's direction. Repeat Signage was immediately a joy to use, enabling my staff and me to simply create stunning 'blue sky thinking' and tech savvy presentations that really do make an impact." "We are always being asked what the solution is and recommend Repeat Signage." "We are still exploring new ways of using this software, we really like the RSS feeds, the subtle image transitions and the simplicity of use. We have now extended its use to our Children's Centre and Playground displays - all different with scheduling allowing real diversity. We couldn't be happier with the impact of this software; its provided us with a unique way of presenting information to target audiences in a very stylish manner. We are constantly asked what the solution is; we always have pleasure in recommending Repeat Software." Marcus Newby, Headteacher, Howard Park School. 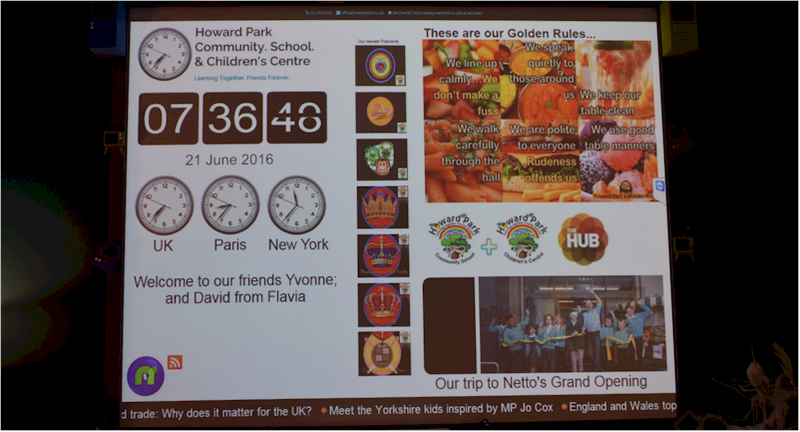 Repeat Signage is user-friendly, digital signage software that allows you to showcase your school activities on display screens, with scheduling, local and remote updating with no on-going costs.